Play as Adewale, an Asssassin fighting for the freedom of slaves in modern day Haiti, in this 4+ hour downloadable single player story. Learn how you can extend your Assassin’s Creed IV Black Flag gameplay with this new second screen experience. Game director Ashraf Ismail walks you through key features, including the interactive world map, game progress tracker and treasure map. And see how the Kenway’s Fleet feature will take your Black Flag experience outside the living room, enabling you to manage your fleet and send ships in trading missions throughout the world. Born a slave, Adewale found freedom aboard the Jackdaw where he became Edward Kenway’s second-in-command. 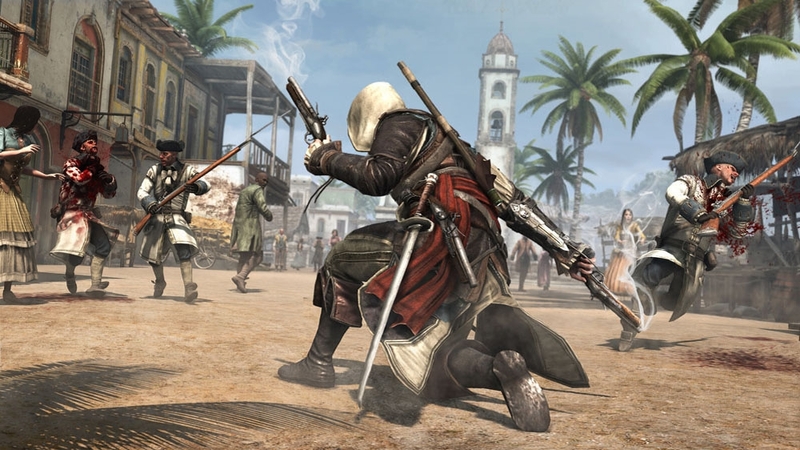 15 years later, Adewale has become an Assassin who finds himself shipwrecked in Saint-Domingue without weapons or crew. He meets locals in an effort to assemble a crew & steal a ship. The more he helps, the more he is drawn into the Maroon slave community. Forced to face his past, he sets out to free the slaves & bring death to their captors. Over 3 hours of new single-player game play! 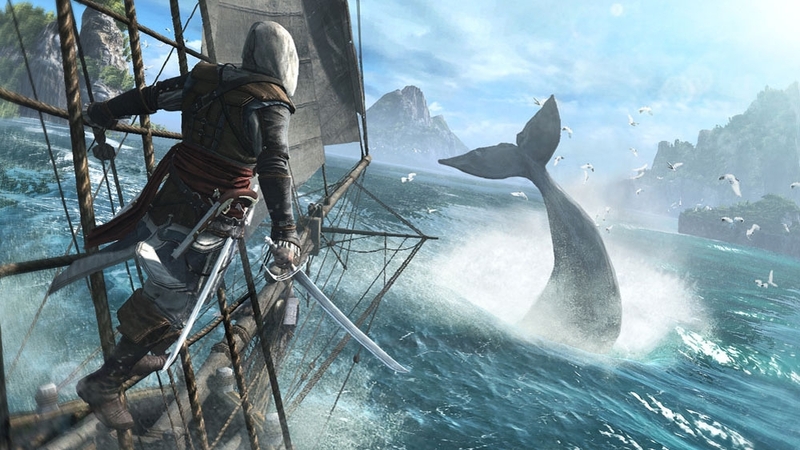 Calling all to unite under the black flag with Assassin’s Creed 4! Watch Captain Edward Kenway, a pirate trained by Assassins, rise up against authority to become the most feared pirate in the Caribbean. See his adventurous story unfold with each chapter explained through his unforgettable tattoos. Learn all about multiplayer, from modes to perks to abilities. And for the first time, learn about the new Game Lab feature, which lets you design your own mode – completely customized to your preferences.. In this ultimate preview of AC4, learn everything there is to know about the largest and most immersive Assassin’s game ever created. Take on the Golden Age of Pirates, and meet the outlaw characters that defined this unforgettable era. Experience the breadth of this open-world, including enhanced naval gameplay, expansive new environments, exotic animals & underwater world. Learn about new combat features & weapons, including dual-sword attacks, multi-gun abilities & the free-aim system. Learn more about the infamous cast of characters you’ll come across in Assassin’s Creed IV Black Flag with commentary from Matt Ryan, the voice actor behind Captain Edward Kenway. Includes the backstory and motivations of historical pirates such as Blackbeard, Charles Vane, and Benjamin Hornigold from the true Golden Age of Pirates. 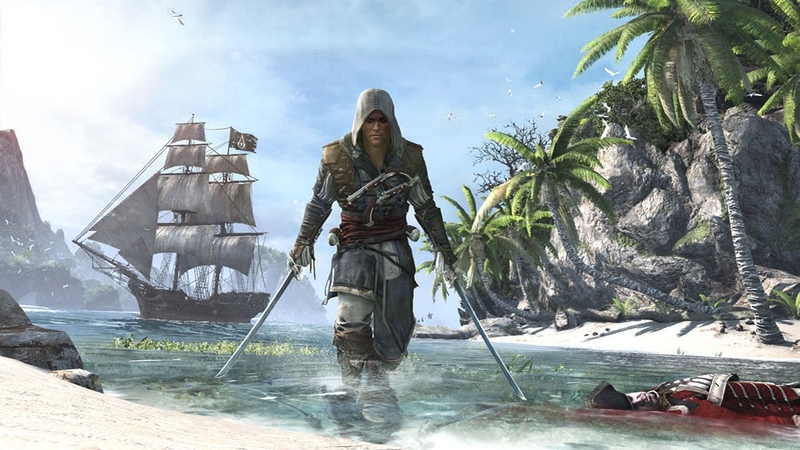 Experience the brash, brutal, and adventurous life of pirates in Assassins Creed 4 Black Flag. 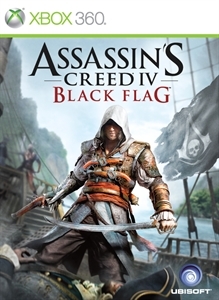 Take part in the incredible story of Captain Edward Kenway, a pirate trained by assassins, and establish a lawless republic in The Caribbean while searching for gold and glory with the help of history’s most infamous pirates including Blackbeard, Charles Vane, Calico Jack, and Anne Bonny. Experience the new open-world activities in the largest Assassin's Creed world ever. 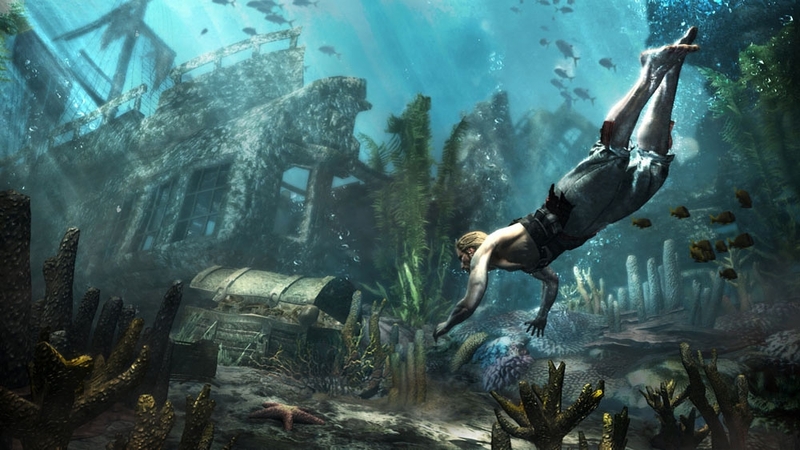 Includes gameplay footage of new features and locations such as underwater treasure diving, smugglers caves, harpooning for sharks, and enhanced naval combat. In this new gameplay walkthrough narrated by game director Ashraf Ismail, experience the strategy, weapons and rewards of conquering and capturing forts in Assassin’s Creed 4. 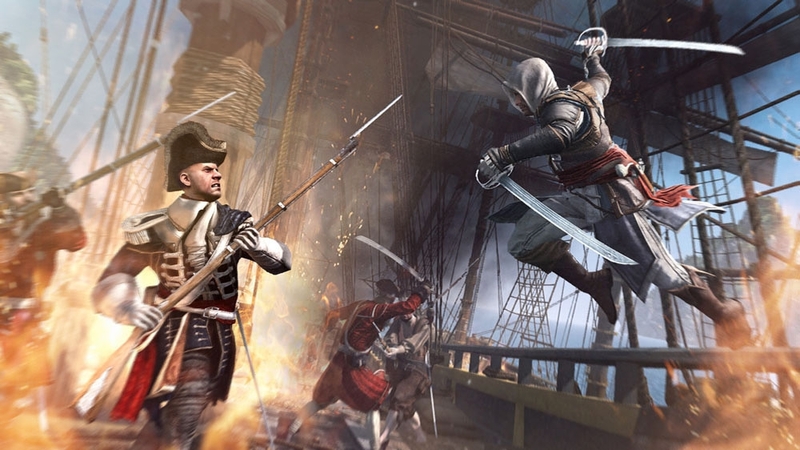 Meet the actors behind the pirate legends of Assassin’s Creed 4. Matt Ryan (Edward Kenway), Mark Bonnar (Blackbeard) and Ralph Ineson (Charles Vane) share their thoughts on the key characters and story line of Black Flag. 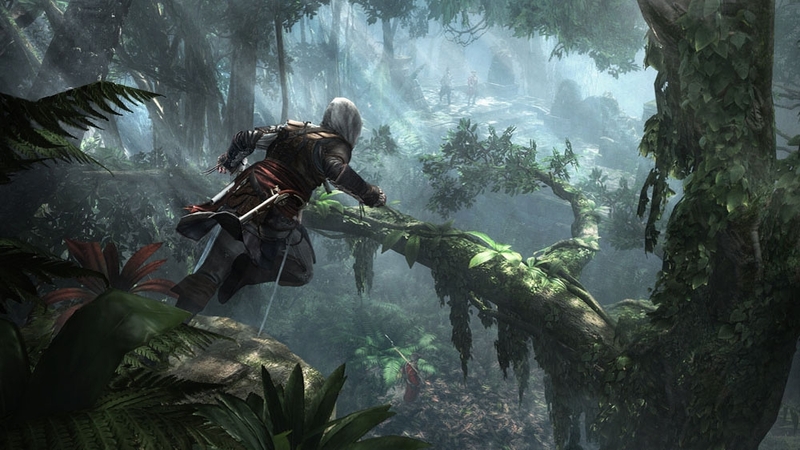 Assassin’s Creed 4 marks the first step into next gen for the franchise. 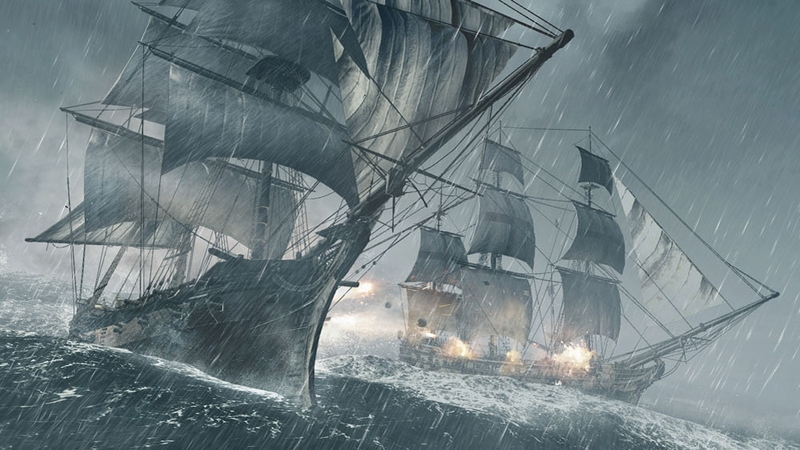 Learn how AC4 utilizes next gen technology to create realistic oceans, dynamic weather systems, ambient lighting, and seamless ship boarding. In Assassin’s Creed IV Black Flag stealth gameplay is back and better than ever! Rely on your stealth abilities using new techniques such as improved Eagle Vision and all new stealth weapons including The Blowpipe, equipped with berserk and sleep darts, to hunt down enemies. Live the true life of a brash and brutal pirate as Captain Edward Kenway. Gain fortune and infamy as you and your crew fearlessly battle and conquer your enemies on the savage seas. The game director of Assassin’s Creed 4 shows us what it takes to be a deadly pirate in the dangerous waters of the Caribbean. Watch new narrated gameplay as he hunts for treasure, captures enemies and navigates the treacherous ocean. As pirate Captain Edward Kenway, explore the largest and most diverse Assassin’s Creed® world ever created, including the open sea, underwater shipwrecks, lush and untamed jungles, blossoming port cities and hidden coves.